This cross-disciplinary meeting will bring together proteomics technology experts, life sciences specialists, and medicine communities. In association with EMBL, we are pleased to announce the second conference on “Proteomics in Cell Biology and Disease Mechanisms”. This conference will focus on novel proteomics approaches to study long-standing questions in cell biology and disease mechanisms. 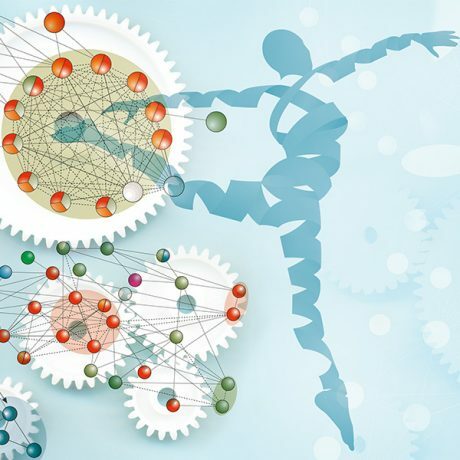 Through the tremendous advances in the technology of mass spectrometry-based proteomics and its applications, the research has expanded and changed the way we think about proteins. The focus of this year will be on high-throughput methods and multi-omics big data integration for a range of applications in biology and medicine. We will discuss recent developments of workflows and techniques that are providing improved protein localisation and unbiased measurements. The programme will also highlight recent advances in human atlas projects and also the computational challenges posed by data analysis and new platforms. This is a cross-disciplinary meeting that will bring together proteomics technology experts (academics and industry), life sciences specialists, and medicine communities (e.g. disease, clinical, precision medicine) who are interested in systems biology, cell signalling, structural biology, and disease and clinical proteomics. Further information and a list of confirmed speakers will be available shortly. Please email to register your interest in attending this meeting. The conference will start at approximately 13:00 on Wednesday, 28 February and close at approximately 14:00 on Friday, 2 March 2018. Accommodation is provided for the nights of 28 February and 1 March 2018. Please note: there is limited onsite accommodation and this will be allocated on a first-come, first-served basis. Therefore, early registration is recommended.